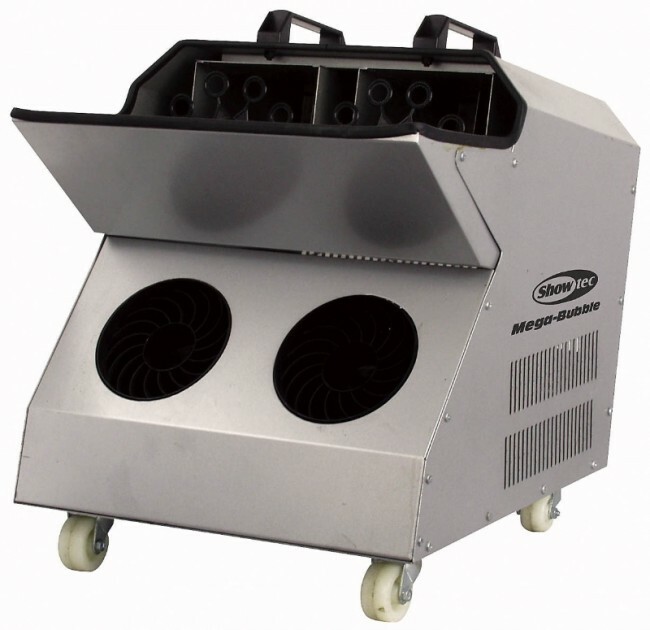 The Showtec Mega-Bubble is equipped with 4 separate fans that blow and lift bubbles high into the air. This advanced fan system produces a massive amount of bubbles per minute. Mega Bubbles design also allows an easy bubble liquid filling with a top-load filling station and easy clean-up with a drain pipe that flows to the rear of the units drainage open/close valve. The Mega-Bubble is superb for stage productions, night clubs and mobile applications. It's including 4L Bubble Liquid Ready to use.